Miyamoto Musashi was one of Japan’s most famed samurai. Among his many achievements he mastered several weapons, studied and practiced the arts, developed the Hyōhō Niten Ichi-ryū (two sword fighting style), and wrote the classic treatise on military strategy Go Rin No Sho. (Book of Five Rings). 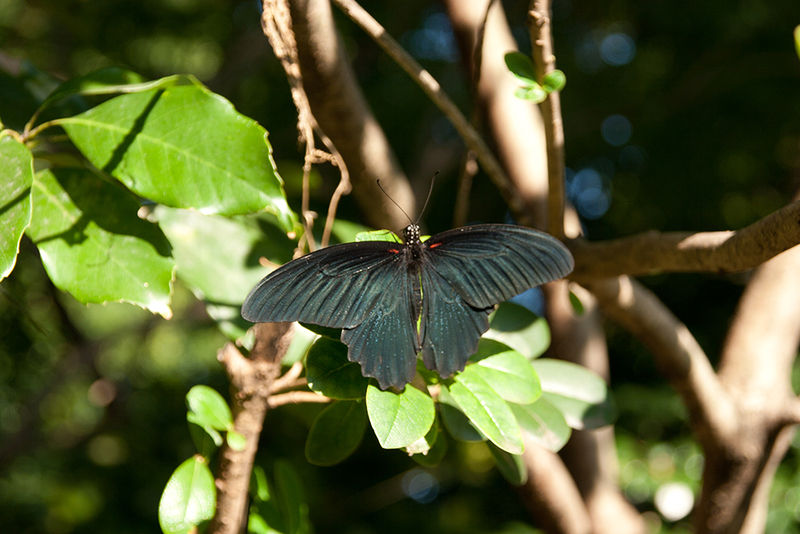 He is buried in Kumamoto Prefecture, on the island of Kyūshū, where he spent the last few years of his life. 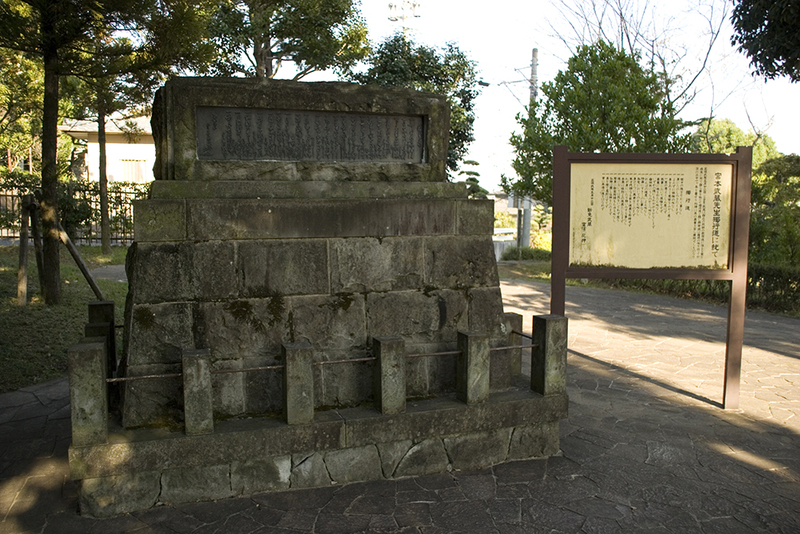 At his request, his grave is by the side of a road to allow him to watch over his daimyo in death. 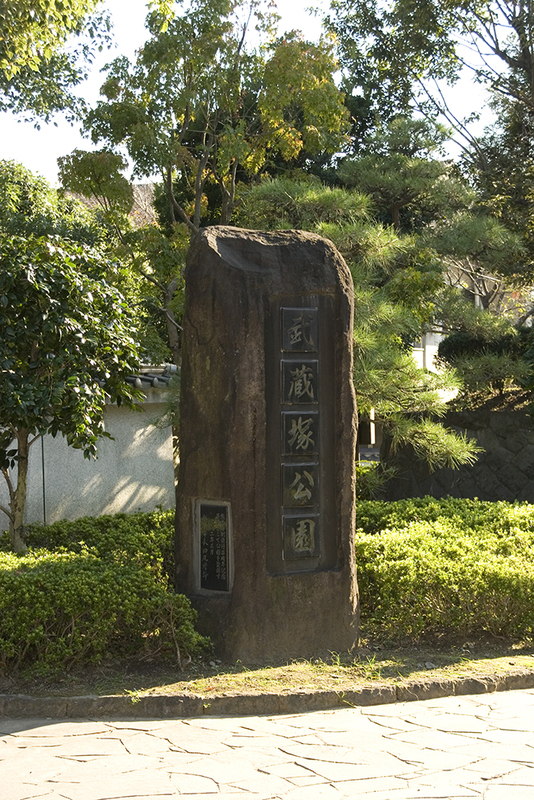 The area around the grave has been turned into a public park named Musashizuka Kōen, and is an essential stop for anyone with an interest in Miyamoto’s life. 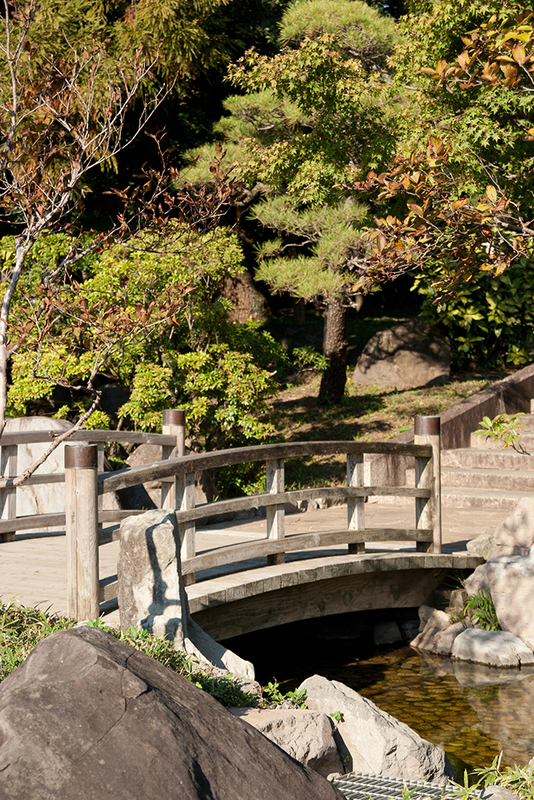 There are markers for many graves (Miyamoto is buried alongside his father and many retainers), a small dojo, and a great little garden to walk around or sit in enjoying the peace and quiet. 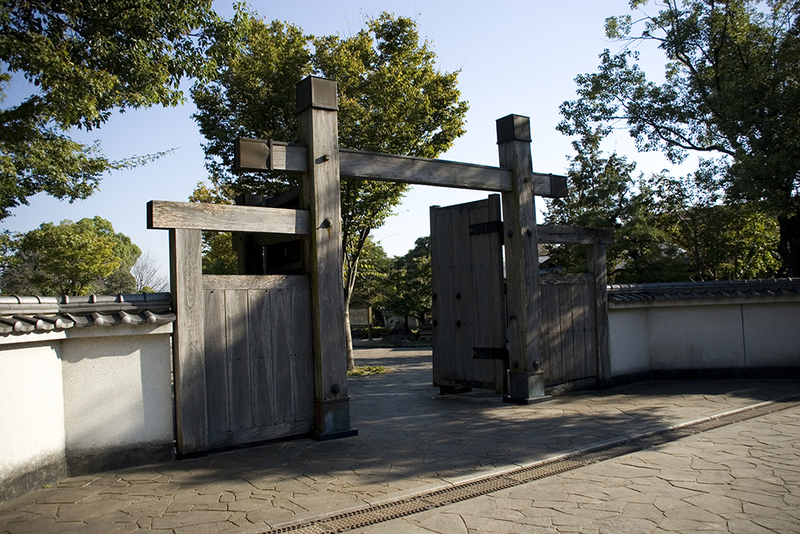 The kōen (park) entrance is marked with a large, carved rock, as well as the above gates. 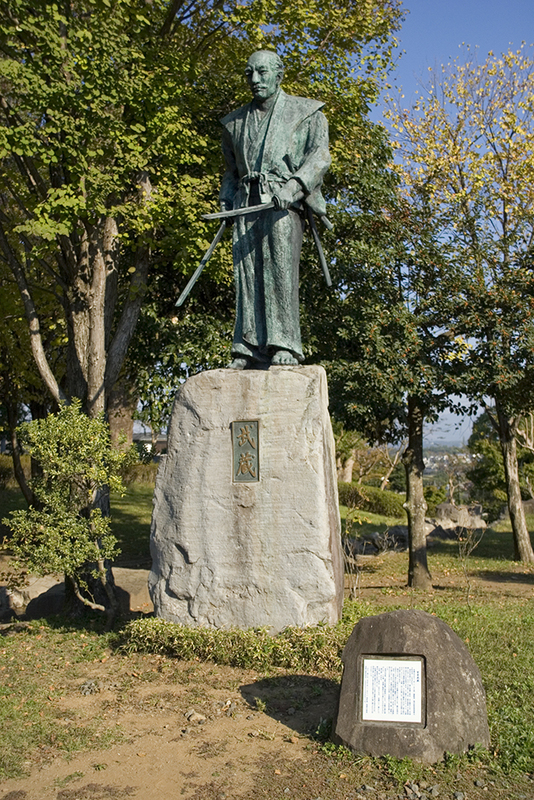 Not too far into the park stands a statue of Musashi, which was based on his own self-portrait. 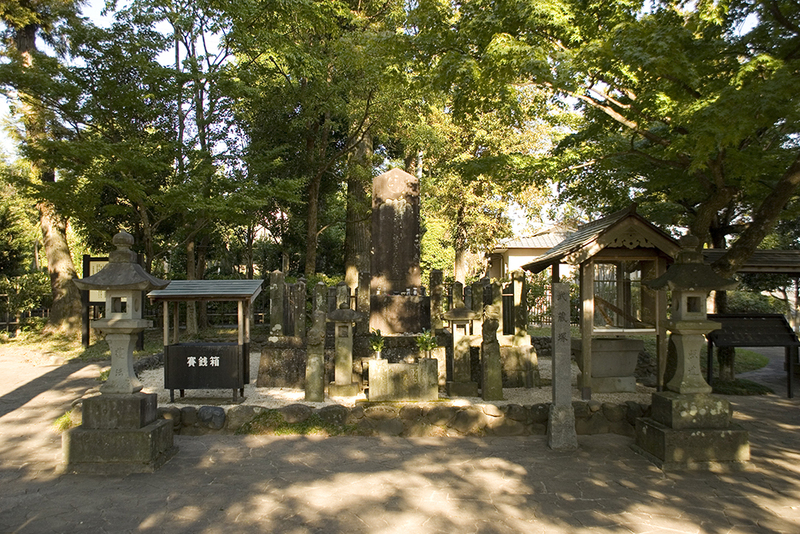 Beyond the statue is Musashi’s grave, surrounded by the graves of his retainers. And, to the side, the grave of Shinmen Munisai, Musashi’s father. 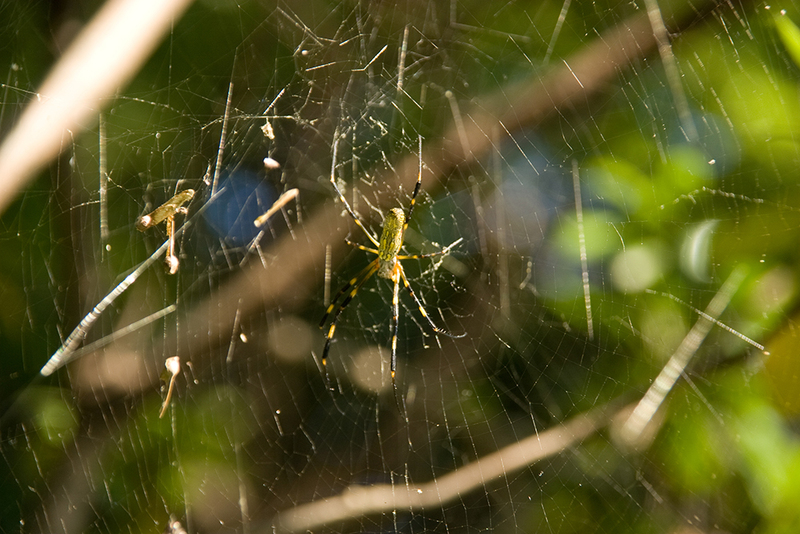 Being out in the countryside there are also many insects, birds and spiders to be seen which are completely alien to my delicate English sensibilities: palm-sized butterflies with blue-black wings; long-legged brightly coloured spiders; and miniature helicopters posing as hornets. 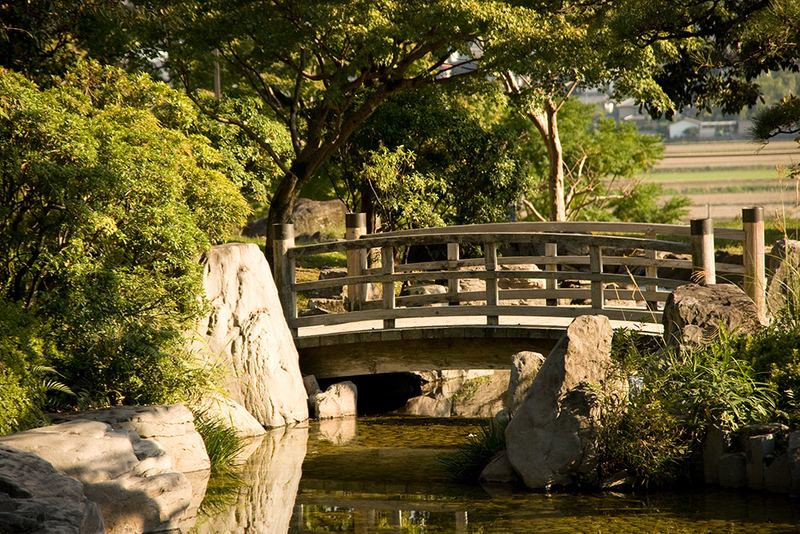 This park is mostly used by locals for a peaceful place to rest, have lunch, or by those who attend the dojo. Access is easy, the park is open seven days a week, and it is free to enter. It’s uncommon to find tourists here, but those who do arrive tend to be whisked around and away again quite quickly. You are more likely to find Japanese, or Westerners with an interest in martial arts or Japanese history travelling alone. You can spend as much or as little time as you like here. I would recommend allocating about an hour, and it’s a pleasant place to eat a packed lunch. If you would rather have something hot, there’s a pork-bone ramen specialist restaurant nearby – Kumamoto is famous for its pork-bone ramen, and Adamu Ramen is one of the best! Take the JR Kyusu Hōhi Main Line from Kumamoto to Musashizuka Station. Exit and cross the main road, the Bungo Highway, at the crossing then turn right. Walk for approximately 10-15 minutes, and the park entrance is on the left. Click here to see the route in Google Maps. Troo, thanks for taking me to Japan everyday! And that without jetlag. Great experience.